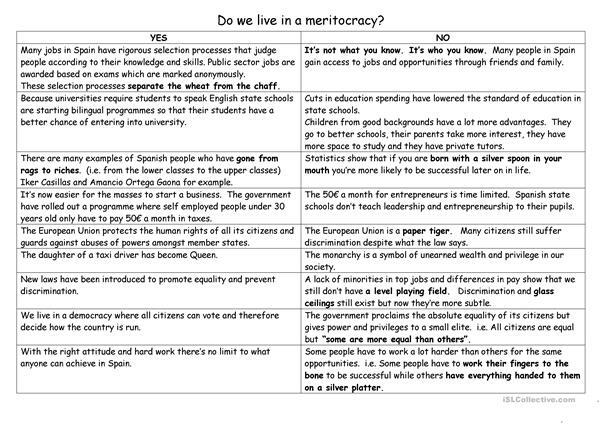 Do we live in a meritocracy? 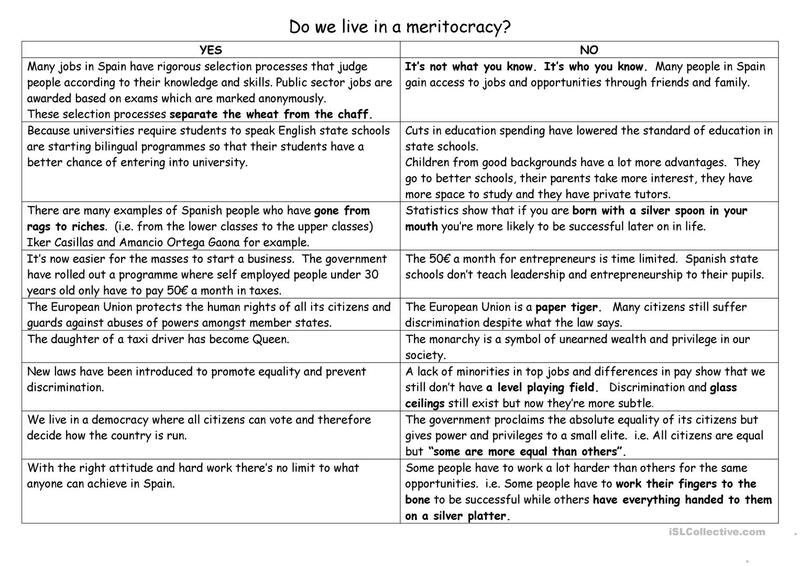 Ideas for a debate on equal opportunities in Spain and some useful idioms. Useful for the Trinity GESE grade 10. The above downloadable teaching material is best suited for business/professional students, high school students and adults at Upper-intermediate (B2), Advanced (C1) and Proficient (C2) level. It can be used for honing your learners' Speaking skills. It features the vocabulary topic of Debate.